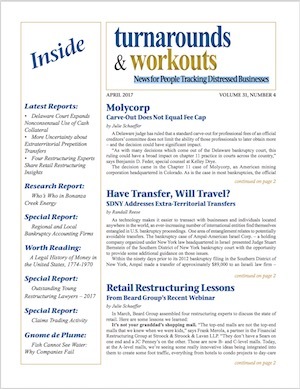 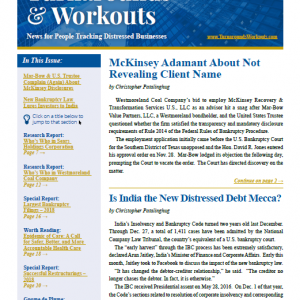 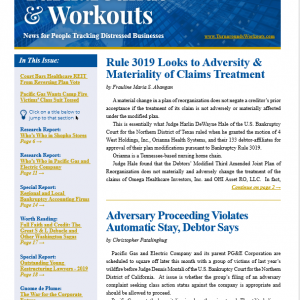 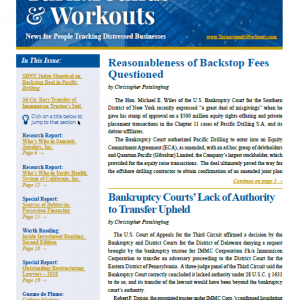 Turnarounds & Workouts is a newsletter for corporate restructuring professionals. 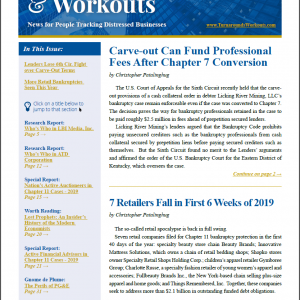 Each issue features news articles, Who’s Who columns profiling significant bankruptcy case, resource lists, and special reports on bankruptcy and insolvency professionals, including the annual Top Turnaround Firms and Outstanding Young Restructuring Lawyers. 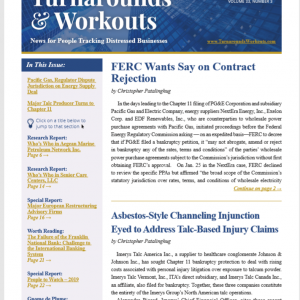 © 2019 Beard Group, Inc.